Many believe the newspaper industry is dying, giving way to the instant gratification of internet news sources. However, the Oklahoma City area and the surrounding communities continue to be represented and covered by a number of newspapers, and some of them have adapted successfully to feature online content as well. 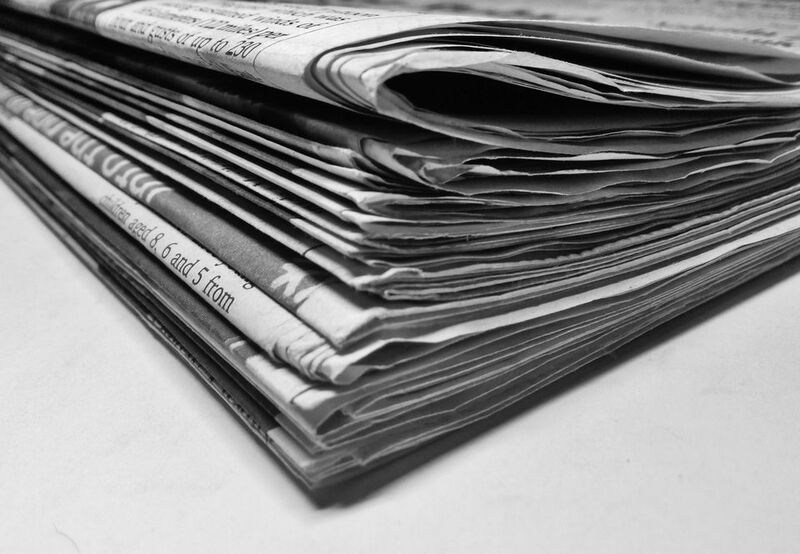 From huge entities to smaller and more specific publications, here is a list of Oklahoma City metro area newspapers. The state's largest newspaper, the Oklahoman is a daily publication that covers not only the Oklahoma City metro area but also state issues and stories. The Oklahoman was originally founded in 1889, then owned by the Gaylord family for more than a century. In 2011, its parent publishing company was sold to Denver-based businessman Philip Anschutz. Today, the Oklahoman has a content-sharing agreement with the Tulsa World and operates online property NewsOK. Founded by Bill Bleakley as a neighborhood newsletter in 1979, the Oklahoma Gazette has evolved into a popular, alternative weekly publication in the metro. Covering statewide topics, everything from arts and entertainment to politics and community issues, the Gazette distributes every Wednesday to more than 200,000 readers. The result of a merger between two papers in 1937, the Journal Record is a business and legal newspaper published daily in Oklahoma City. It was known as the Daily Law Journal Record until the late 1970's, and today it is operated by the Dolan Company. The Journal Record also distributes in Tulsa, has an online subscription edition and produces special publications such as a legislative report and a newspaper for Tinker Air Force Base. A weekly publication founded in 1979 by Russell M. Perry of the Perry Publishing Company, the Black Chronicle is one of the largest paid weekly newspapers in the state. It services the Oklahoma City metro area's African American population as well as the entire state of Oklahoma. A monthly, legal publication, the City Sentinel serves Downtown, Central, and Northwest Oklahoma City, focusing on community and neighborhood news. Published by Nichols Hills publishing, Oklahoma City Friday is a newspaper for the affluent northwest area of the metro, dubbing itself "The newspaper for Oklahoma's trendsetters." Some entities estimate Oklahoma City Friday's circulation at approximately 10,000. A publication that has received awards from the NAACP and the Black Liberated Arts Center Inc., the Oklahoma City Herald was created in 2002 to "provide a positive communication medium for and about Oklahoma’s minority communities." According to publishers, readership is over 20,000. A daily publication that primarily serves the OKC-area communities of Edmond and Deer Creek, the Edmond Sun debuted in July of 1889 and is, according to publishers, the oldest continuously published newspaper in Oklahoma. In addition to the print edition, the Edmond Sun also features a five-day a week email edition as well as a monthly business magazine entitled "The Business Times of Edmond." A small community paper serving El Reno and the western Canadian County area, the El Reno Tribune has a circulation of approximately 5,000 and publishes Wednesdays and Sundays. Address: 102 E Wade St. Published out of the same office as the Norman Transcript, the Moore American is a weekly newspaper serving Moore and other areas south of the metro. Address: 215 E. Comanche St. Owned by Community Newspaper Holdings Inc., the same company that owns the Edmond Sun, the Moore American, and many other small city papers, the Norman Transcript is a daily publication and the oldest business in Norman, a community south of Oklahoma City.